This was a rare treat precipitated by a residential course in Devon. 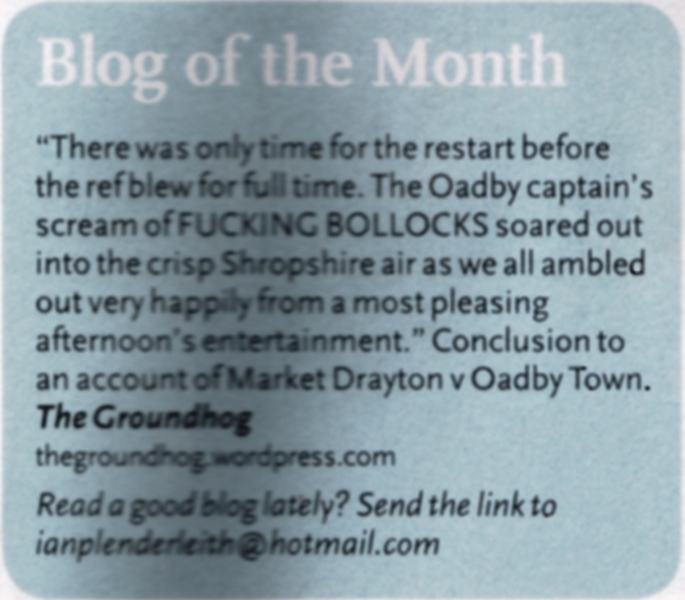 Admittedly, it was me that found the course and the idea of a Devon ground did cross my mind a little (a lot) in my mind while looking at the syllabus. 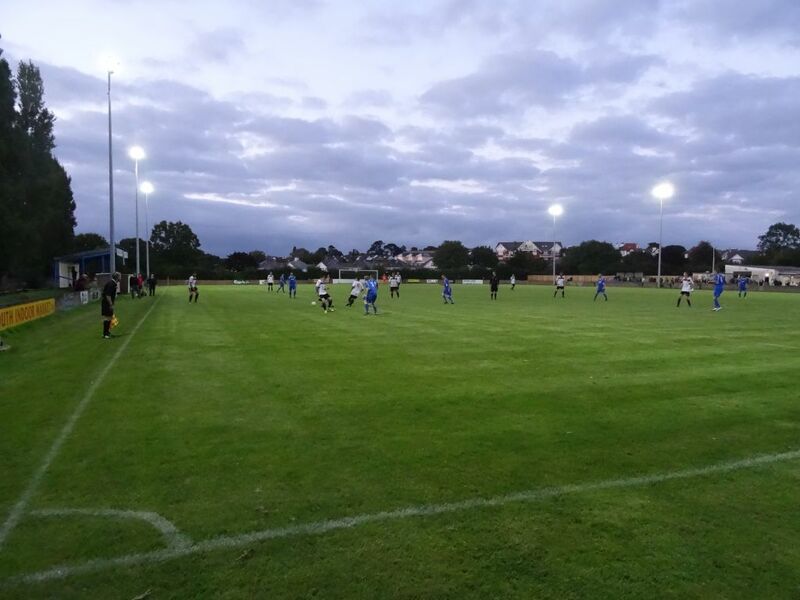 A first South West Peninsula league game beckoned, in one of their two divisions, spanning steps five and six. As I’d gone by train, choices would be limited to where I could get to after 5pm on public transport. This proved to be trickier than I imagined. Bovey Tracey was nearby, but involved an intricate series of buses and finding requisite bus stops in strange places, such as Newton Abbot. The likes of Ivybridge, Plymouth Parkway, Budleigh Slaterton and Axminster, while all playing midweek, required sleeper services on the way home, getting me back at around 7.30am the next day! I wasn’t quite ready for that extremity of hopping quite yet. 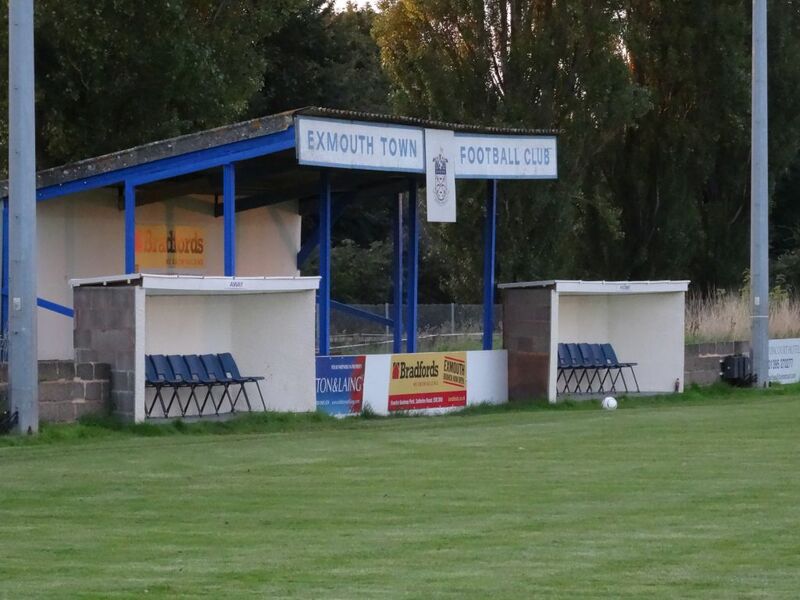 Exmouth Town proved itself the most amenable, but still a sizeable 1hr 30min journey from Torquay. This was on the Tuesday night. One of the great things about this hobby is the unexpected asides that happens upon you in getting to wherever you’re going. Unbeknownst to me the train ride on the little two carriage bus-style diesel is one of the great train rides in Britain and attracts tourists in itself. All I was doing was trying get to a new football ground, but serendipitously stumbled upon the most scenic train ride of my life. 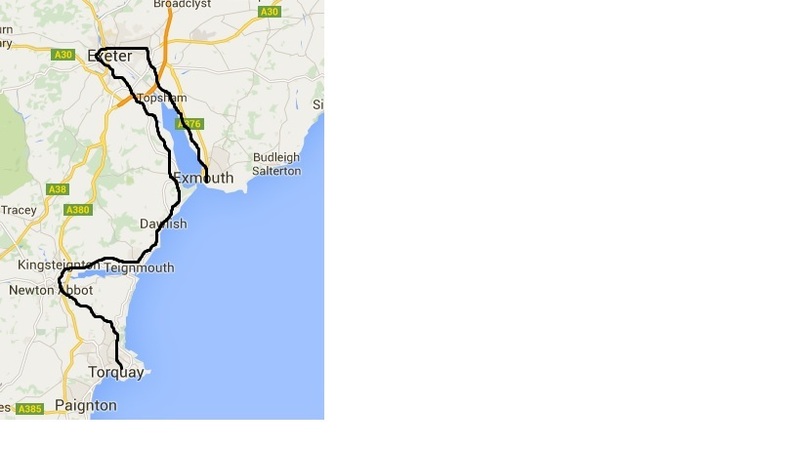 The route starts inland to Newton Abbot then down to the coast at Teignmouth. Here it skirts the coast, through Dawlish and Dawlish Warren, the stretch that fell into the sea during storms in February 2014. The track at the time was left swinging like a rope bridge over the sea. It is now reinforced, but still runs just as close to the ocean, as in you could dive out of the train window and belly flop into the English Channel. It continues to hug the coast as it goes first one way up the Exe estuary, into Exeter itself, then after a couple of stops in urban Exeter, runs down the other Exe estuary coastline, all the way down to Exmouth, passing the curiously named Lympstone Commando station; the part of Lympstone that’s not wearing pants. It was also a warm late summer evening with a fantastic light. A fabulous journey; what a pilgrimage to a football game. 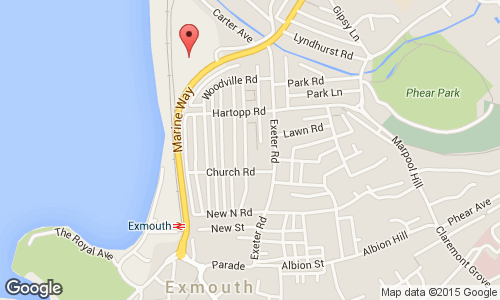 Exmouth train station is only 5 minutes walk from the ground which lies just up the road, where Marine Way splits off from the route of the train line. Their town centre Wertherspoons was only over the road in the town centre and was an obvious stop off, as I had 45 minutes before the game. However, in the week I was there I can’t say I was impressed with the Devonian and Cornish beer scene. The ground is very visible from the road and can be framed quite nicely from the far side. A small covered terrace sits on the centre line on the far side. 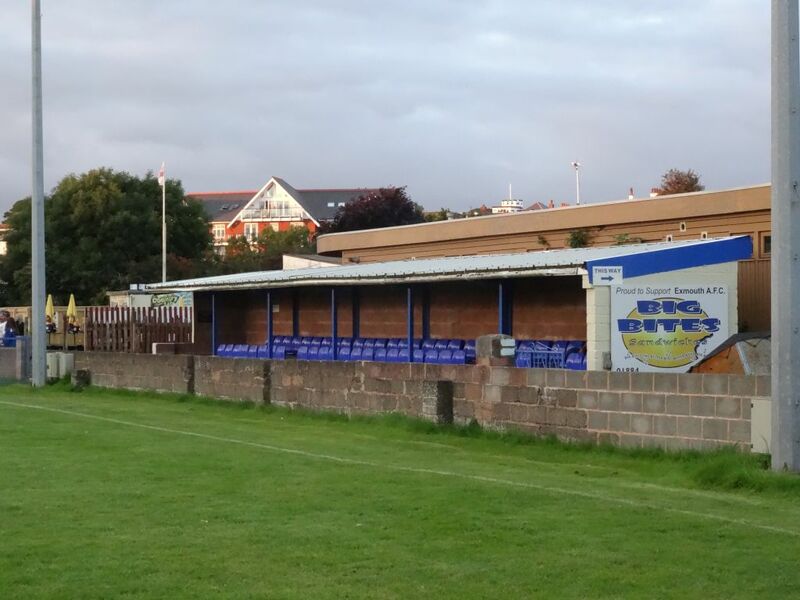 A 60 odd seater covered stand sits alongside the clubhouse on the near side. A drag and drop ‘Atcost’ stand sits the other side of the clubhouse. An unusual feature of the ground was a donkey enclosure skirting behind one goal and all the way up one side between the covered terrace and the railway line. 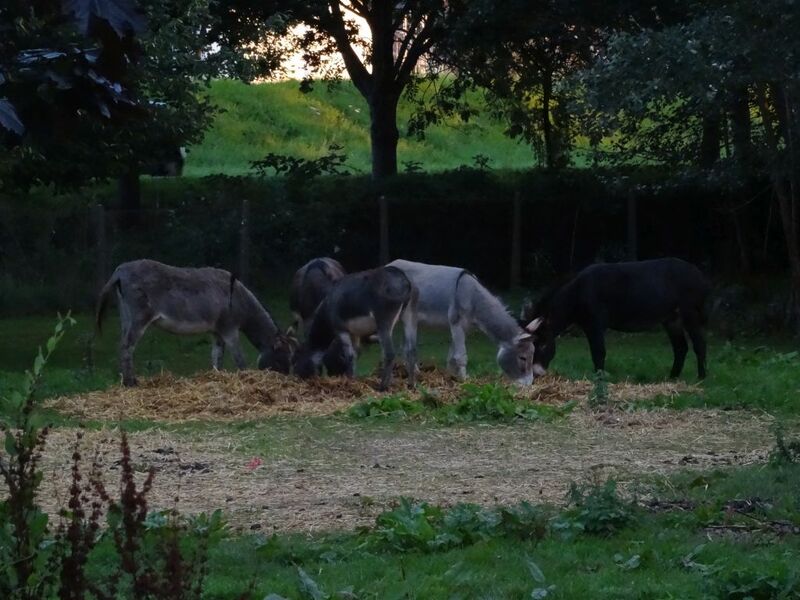 About a dozen donkeys chewed away happily as the game commenced. 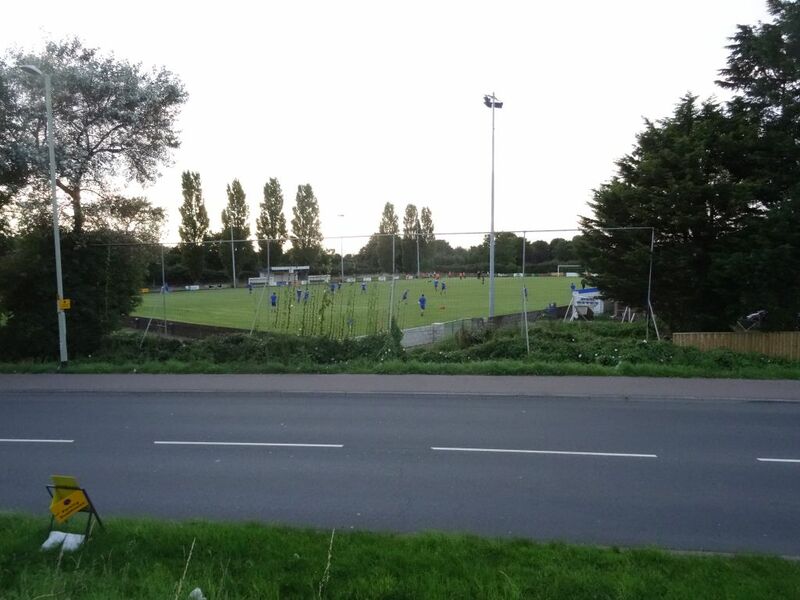 This was the Peninsula top division and their were hosting Tavistock FC. Both teams had made reasonable starts to the season, with Tavistock lying in fourth but having played more games. Tavistock should have scored after 30 seconds with the goal gaping wide as a shot was hit wide. Within another two minutes they spurned two more clear cut chances. It could have been 0-3 after 3; surely Tavistock would take the lead before long. 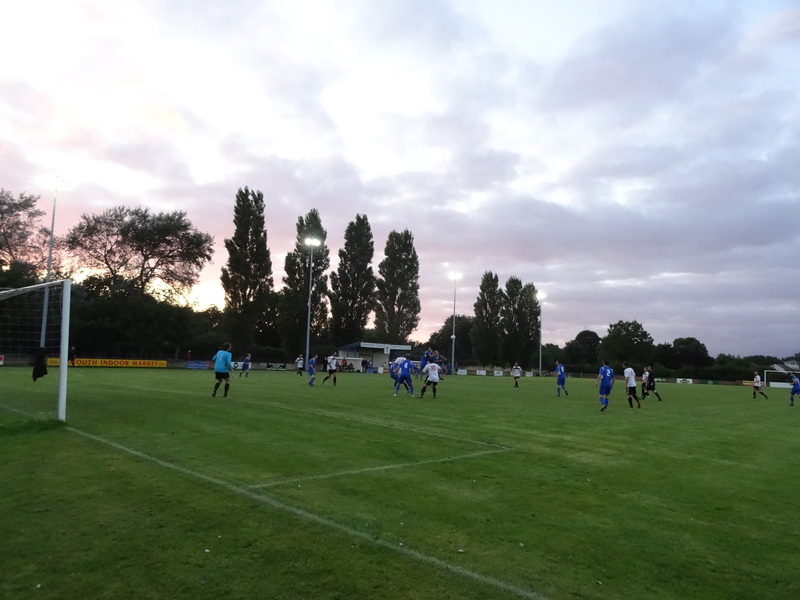 However, about five minutes later, a long through ball went straight through to the centre forward who calmly slotted in under the Tavistock keeper. 1-0. On 20 an inswinging corner was headed firmly into the top corner – 2-0. Shortly before half time a great individual goal made it 3-0; this scoreline must have been hard to take for Tavistock who were by far the best team in the first 10 minutes and should’ve had a lead. Their morale seemed damaged in the second half and they never created the same kind of chances they did in the first three minutes. 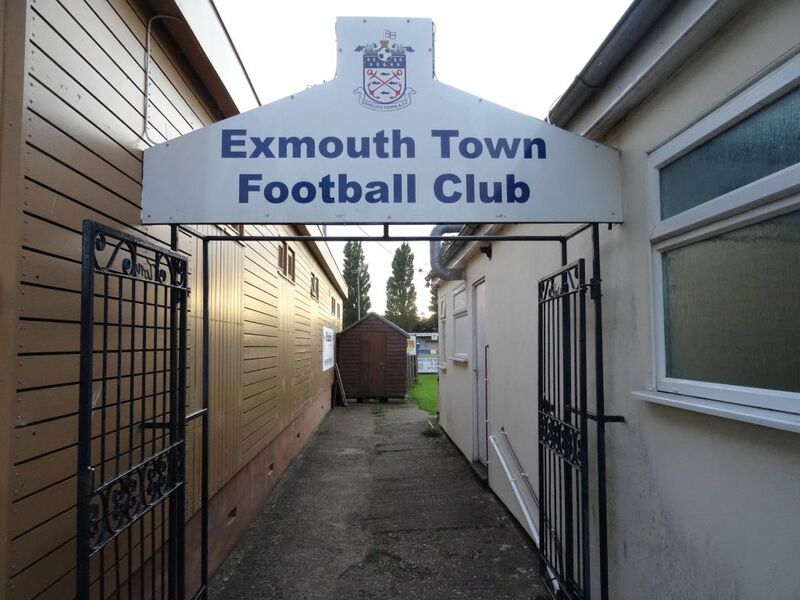 Exmouth took it easy but saved their best until last – a curling cross from the right was met with a volley on the edge of the box, that was hammered with perfect timing and precision past the keeper. 4-0 and game over. It was an enjoyable game and a better football trip would be hard to find. 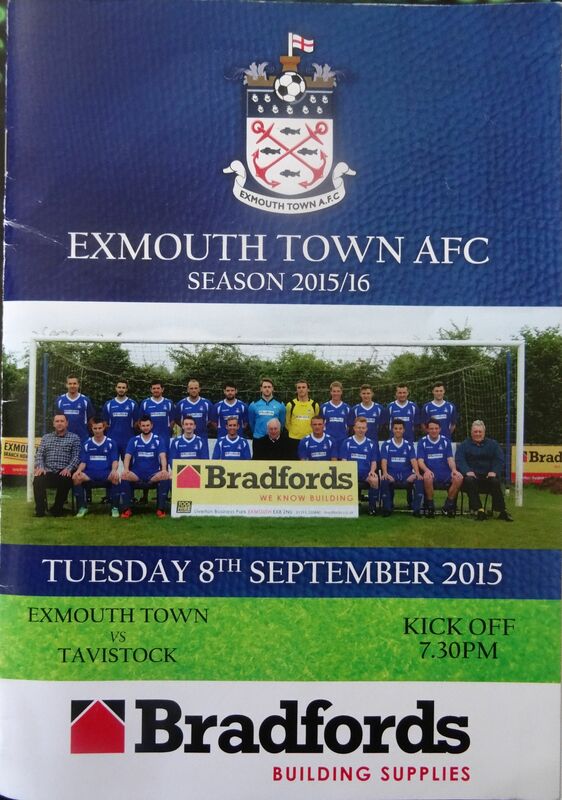 This entry was posted in Travelog and tagged Exmouth town, Non-League, South West Peninsula League, tavistock fc. Bookmark the permalink. Love the donkeys! Only in Devon [or Cornwall, I guess].